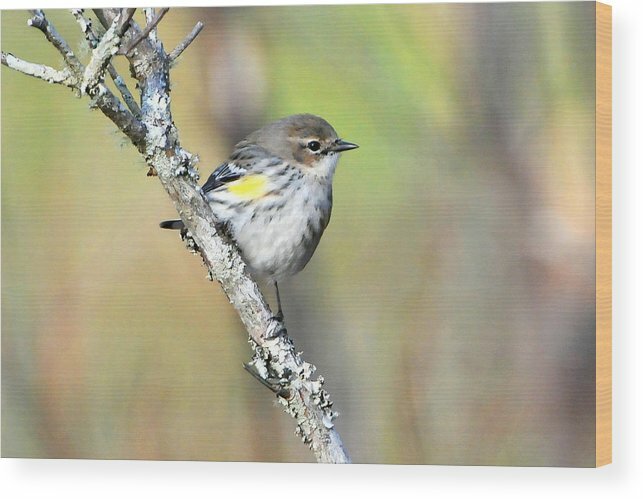 Yellow-rumped Warbler by Alan Lenk - 10.000" x 6.625"
Yellow-rumped Warbler wood print by Alan Lenk. Bring your artwork to life with the texture and added depth of a wood print. Your image gets printed directly onto a sheet of 3/4" thick maple wood. There are D-clips on the back of the print for mounting it to your wall using mounting hooks and nails (included). 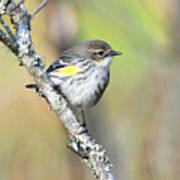 A common warbler in woodland and forest edge. A rather large warbler often seen in winter. 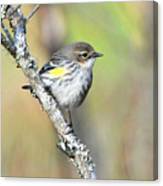 It has a yellow patch on its rump as well as yellow on it sides.